copyright © 1978 by Akwesasne Notes, Mohawk Nation, Via Roseveltown, NY. This was published in Akwesasne Notes in 1978 and sent out on the net some time ago. "What is presented here is nothing less audacious than a cosmogony of the Industrialized World presented by the most politically powerful and independent non-Western political body surviving in North America. It is, in a way, the modern world through Pleistocene eyes. . . . 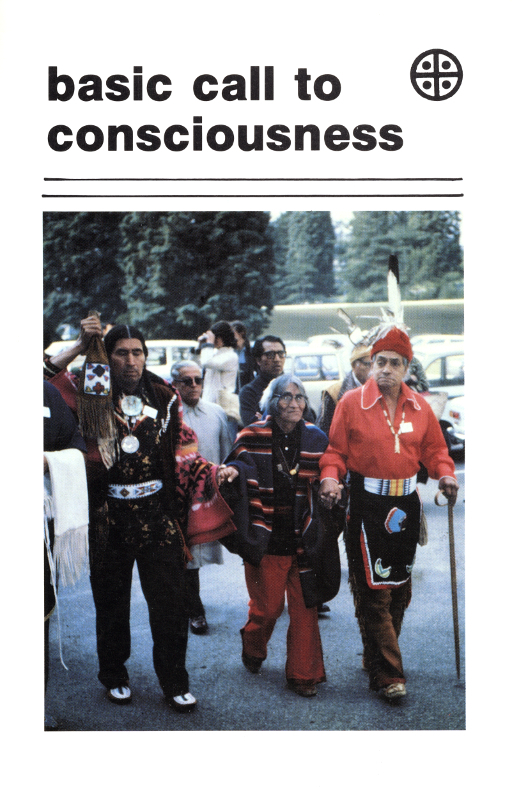 This comprises pages 65-111 of the book, basic call to consciousness, edited by Akwesasne Notes, published by Book Publishing Company, Summertown, Tennessee, 38483. First printing 1978, Revised Edition, fourth printing, 1991. The following comments were received via e-mail. As we are not the authors of this work, it is not within our purview to alter its content. In the Introduction to "Basic Call to Consciousness" there is a reference to world's three monotheistic faiths-Christianity, Judaism and Islam, but instead of using the right word, the article uses the word Mohammadanism (for Islam). This is not correct because Mohammad was not the founder of the faith of Islam. Islam is a divine message and Mohammad was chosen by the Creator to carry His message to humanity some 1400 years ago. The power and appeal of the message is evident from the fact that there are more than 1 billion Muslims (followers of Islam) worldwide and their number is growing. Also, the recent poll by MNBC on the most influential person of the mileneum, Mohammad was ranked on top of the list, way above Jesus, Moses, Gandhi, and others. The word Mohammadanism is a misnomer for Islam and Muslims consider it offensive. Please make the correction in your article. Thank you!